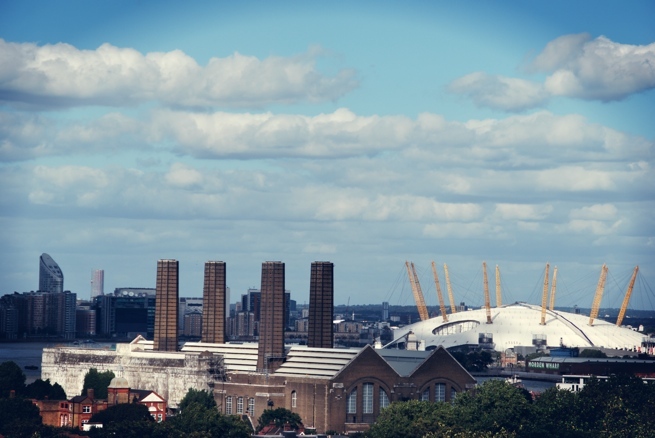 It’s called the O2 again. 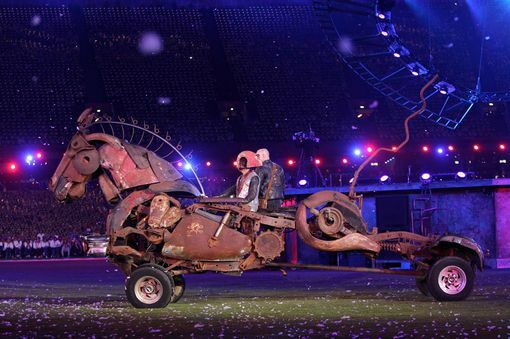 TRY NOT to look for too much meaning in it all, those of us watching the Paralympics Closing Ceremony in the UK were told by the Channel Four commentators. That’s what the director of the Closing Ceremony had reportedly been telling people. Try not to look for too much meaning in it all. It’s got to be tough, coming fourth amongst all the ceremonies. I mean, the central London cityscape has been done to death. It’s in London, Big Ben’s there. We get it. There’s some music that Britain has made, and a bunch of other stuff (no real mention of Empire though, I noticed, or our imperial past – no Rudyard Kipling riding an elephant behind a group of redcoats massacring the natives, the survivors herded to a concentration camp from the country that invented them). After over a month of Olympic and Paralympics, meaning had been spun out of the Games by countless column inches and broadcast hours – sporting, cultural, economic, historic. It had all been pored over. In London, even if you weren’t watching any of the events, it would be hard not to have seen the headlines and impossible not to have been in at least one conversation about Mo Farah. 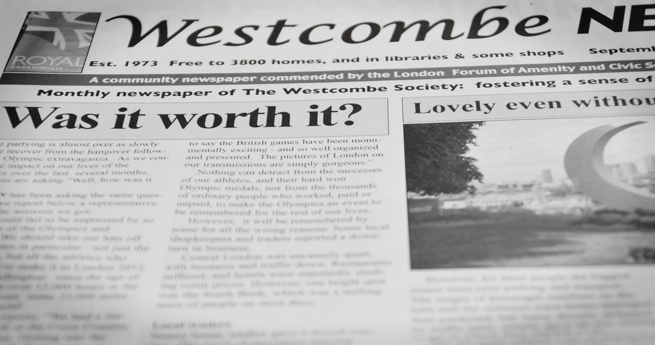 Even the Westcombe News (“Free to 3800 homes, and in libraries & some shops”) my local community newspaper and the home of rampant nimbyism, picked up the prevailing wind and realised that to come out openly against the Games would have resulted in their offices (if they had any) being stormed and the editorial staff (volunteers) being lynched in Greenwich Park. Still, as headlines go about the greatest sporting event that this nation has ever seen, “Was it worth it?” is hardly the unambiguous headline of unwavering support one might have expected. The WN hedges its bets by first quoting random people saying how amazing the Games had been (including one from Sandra Barnes “writing from Philadelphia in the US” – you ran out of people in the area to say positive things and you had to go across the Atlantic to find someone else?). It then moves on to talk about the impact on local businesses (bad), the stationing of Rapier surface to air missiles near Greenwich Park (unforgivable, but “at least locals did not have them placed on their roofs”) and then transport: “the surges of passenger numbers on the tube and the railways were better managed than predicted [i.e. we thought we’d all be plunged back into the dark ages]: but many drivers, defeated by traffic jams, simply gave up any attempt to get to where they needed to be [i.e. I couldn’t drive to Sainsbury’s because of the one way system, so I gave up and came home]. They end with the standard disclaimer which now by law must be added when criticising any aspect of the Olympics: “Overall, most people agree that the games were a spectacular success.” This is journalistic gold. This is my photo and I was there. 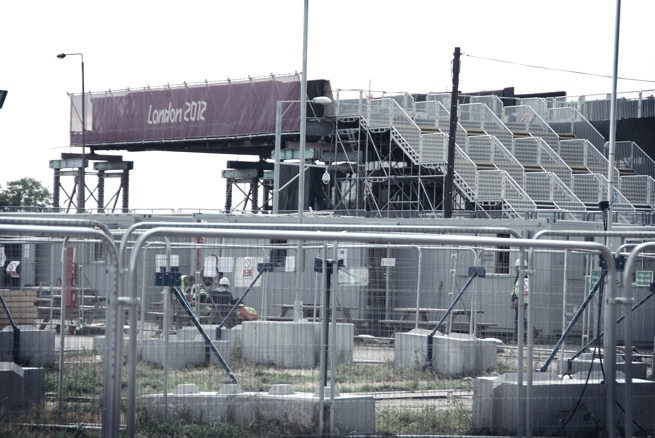 We’d been to the Olympic Park, of course, but hadn’t got tickets for the Stadium and utterly failed to get any tickets for the Paralympics. So receiving a phonecall from friends offering us two unwanted tickets to see athletics in the Stadium on a Saturday morning is in the same category as seeing people you know on the tube: impossible until it happens to you. 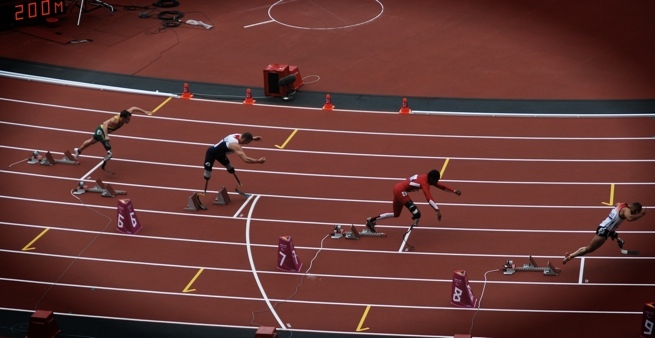 This is Richard Whitehead coming off the blocks in the men’s 200m final, just before he won gold for GB. Beckie, my partner, screamed herself hoarse during the race. I was slightly distracted because after taking this photo my memory card filled up, I couldn’t take any more photos, and I panicked. How will people know that I was here? I thought to myself. I can’t just see it with my own eyes! I hurriedly tried to delete photos. As it turns out, this takes longer than it takes Richard Whitehead to run 200m. Consequently, I actually missed him crossing the finish line. But I understand that it was very impressive. This is how I know it was impressive. From the crowd’s reaction. That’s the wonderful thing about being in a crowd of 80,000 people. You really don’t need to do any thinking for yourself. 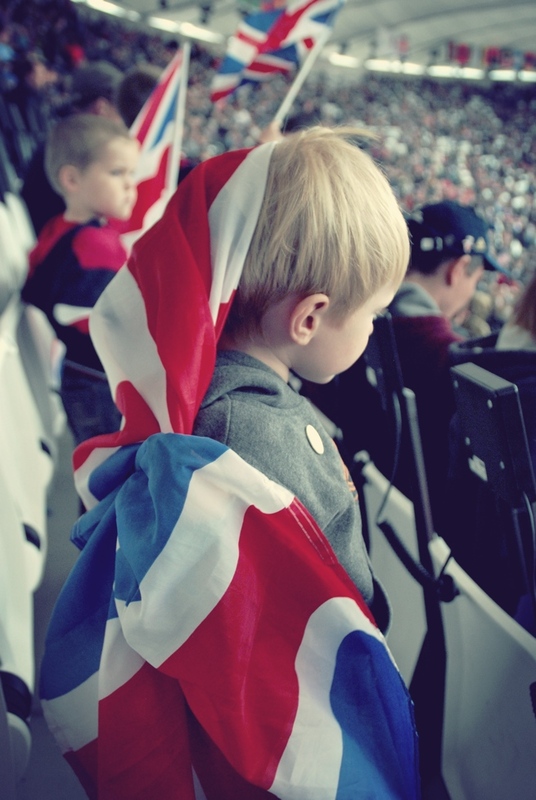 This kid was all about the flags, less about the sport. It would be wonderful if his name was Jack. Some were more interested in the running than others. 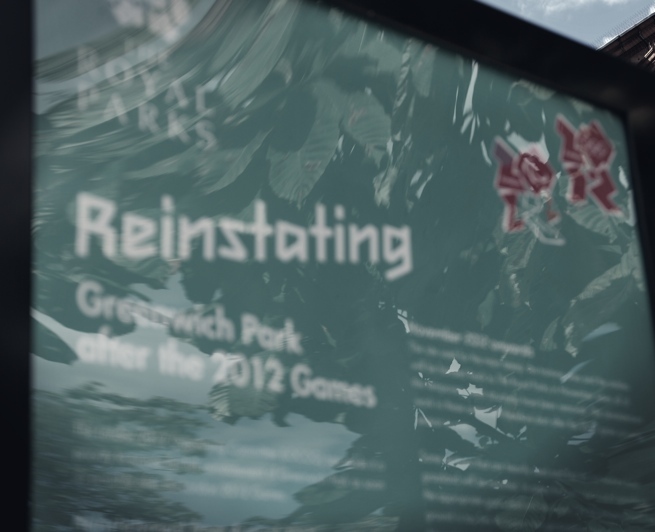 During the Paralympics, there was a sense in London that the Olympics had been normalised. It was heralded as the biggest, most disruptive event since WW2 to hit the city, and yet everything had kept going. It felt like the city had absorbed the Games and moved on. There were still the pink shirted people at stations (not the same ever-cheerful volunteer Games Makers as at the Olympic venues, but dour, humourless people employed by the train companies just for the duration of the Games), still telling people to keep to the left. But, every morning, as the commuter crowd surged off my train and herded itself down the corridor to the barriers and the station exit, the calls of “guys, keep to the left,” fell on deaf ears. These were the same business-suited people who’d been walking on the right since before the Olympics, and would be doing it long after the pink shirts had disappeared. At North Greenwich station, the people handing out walking maps of the area (“why not walk? public transport is going to be very busy”) looked bored next to their human-sized piles of maps (I now have ten walking maps of Greenwich and Woolwich, all identical. I felt sorry for them every time I passed). And on the day after the Paralympics finished there was a ‘Victory Parade’ in Central London, and the Red Arrows flew past my sixth floor office window, spewing out patriotic clouds of red, white and blue. I was on the phone at the time, and I didn’t even mention it to the person on the other end. It’s just a building site now. The Westcombe News will be happy. Yes, London had reasserted itself. That brief, wonderful time when you could talk to strangers and they wouldn’t blank you was drawing to a close. It’s like when the snow melts every winter and people wake up to the fact that those people they’ve been joking with about slipping and sliding are actually just people-in-the-way. And with the closing of the Paralympics, the weather turned. 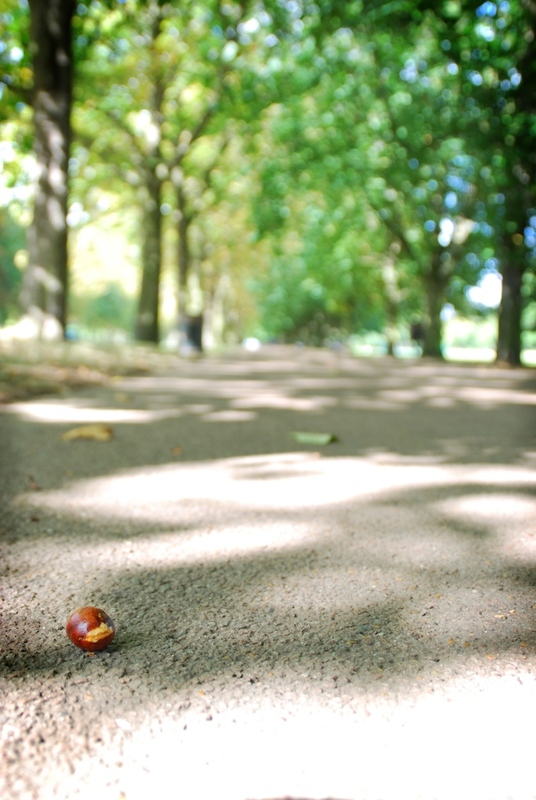 After one last gasp of summer, the leaves began to fall from the trees, and conkers were trodden underfoot by the boots of the workmen dismantling the equestrian stadium in Greenwich Park. 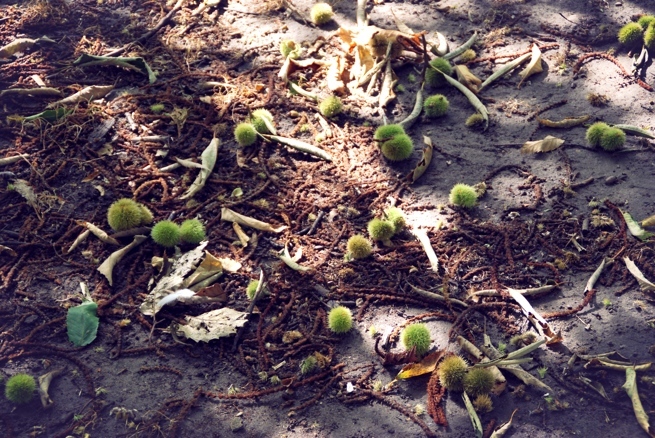 Sweet Chestnuts. In a few weeks’ time, when they’re at their best, Greenwich Park will be full of people sweeping these up into carrier bags. Don’t worry, though, you’ll see them again – when you pay £5 for a bag of them roasted, at a Christmas market. Omar Hassan of Djibouti. He was lapped twice by all the other competitors in the men’s T46 1500m race, and finished in 11m 23s – nearly seven minutes slower than his nearest competitor. 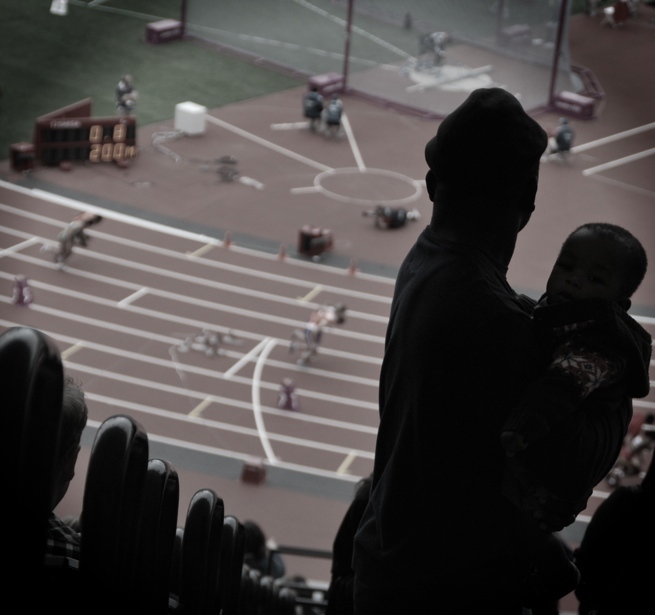 At the end, he was the only man left running – or doing any kind of sport – in the Olympic arena, as 80,000 people got to their feet and cheered him on. At times it felt like he’d pack it all in (he was suffering from a foot injury, as it turns out), but he was there to the bitter end. “I thought of stopping,” he said afterwards. 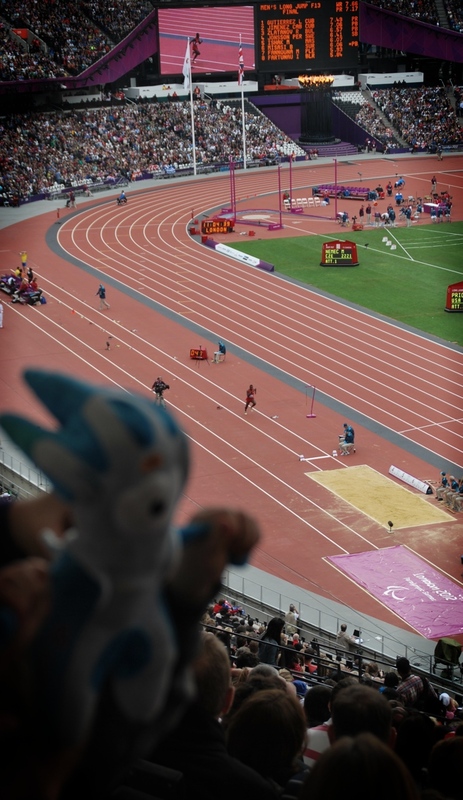 “But I kept going because I wanted to finish.” By far and away my best experience of either the Olympics or the Paralympics: a man who came last and registered one of the worst times in any major international championship, ever.